Mass text messaging can help you reach your customers during the NFL playoffs. The NFL playoffs are among the most-watched sporting events in the United States. For many sports bar owners, January and February mean big business. Football fans are looking for a fun place to enjoy the games with friends, and the competition can be fierce among business owners that are interested in attracting this particular audience. If you are a sports bar owner that’s planning to step up marketing efforts around the NFL playoffs and Super Bowl, here are a few ways mass text messaging can benefit your business as we head into the new year. Mass text messaging can be used in different ways to reach your audience this playoff season. Some businesses may choose to use the mobile channel to inform potential customers of game times, stats, etc. in an effort to engage sports fans in a conversation and pique their interest. Others might use mass text messaging to transmit information about special promotions they’re running on playoff and Super Bowl game days. Whatever approach you decide to take, one thing is for certain. 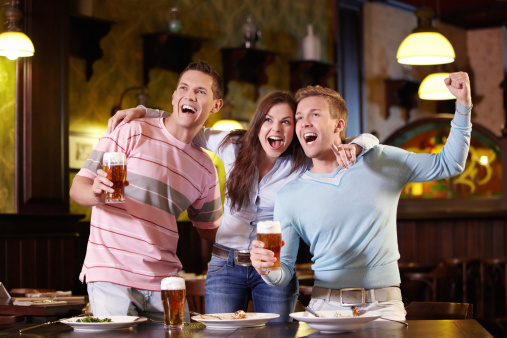 Mass text messaging can help you raise awareness about your sports bar during NFL playoff time. In the past few years, the NFL has been making a concerted effort to connect with a female audience. Recent data shows that viewership is up 5 percent this year among females ages 18-49. If you’re interested in raising awareness about your sports bar with female consumers during playoff season, mass text messaging can help you accomplish your goals. There are more female football fans in 2014 than ever before, and this particular audience represents an untapped opportunity for sports bar owners interested in increasing their foot traffic in the coming months. A well-created mass texting campaign can help attract this key customer segment to your business. Get your customers excited about game day with a mass text messaging campaign. The NFL playoffs typically last a few weeks, so creating a mass text messaging campaign that’s focused on the end of football season is an effective strategy for your business. There will be multiple opportunities to connect with customers as playoff season rolls on, and this could represent an important opportunity for your sports bar. Ongoing engagement via a mass text messaging campaign during playoff time can result in improved customer loyalty and increased awareness about your business overall. The playoffs are a great time to establish long-standing business relationships with new patrons interested in interacting with your brand via mobile. The NFL playoffs are just around the corner. 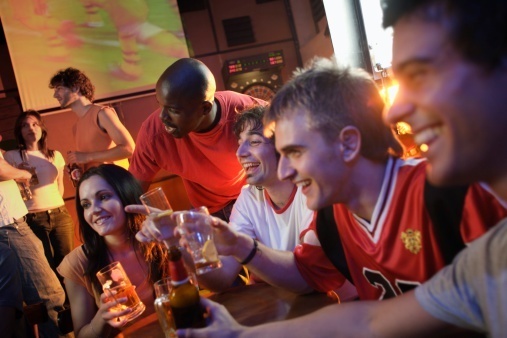 If you’re a sports bar owner that’s interested in reaching new patrons in the coming months, a well-crafted mass text messaging campaign can help you accomplish your business goals. Whether you’re interested in sharing special promotions with customers, raising awareness about your business with a female audience, or improving customer loyalty over the long term, connecting with consumers via mobile is a great way to do it. Try GroupTexting for free today – your customers are waiting!